Meet Juana. Juana loves many things: drawing, eating Brussels sprouts, and living in Bogotá, Colombia. Most of all, she loves her dog, Lucas, the best amigo ever. She does not love her itchy school uniform, math problems, or dance class. Above all, Juana does NOT love learning "the English." All the THs of that pesky language tickle her tongue, and many of the words make very little sense to her. If read and read are written the exact same way, why are they pronounced differently? Then Juana's grandfather tells her about something fantástico he has planned, and Juana now has all the encouragement she needs to work muy hard at becoming a fountain of the English! 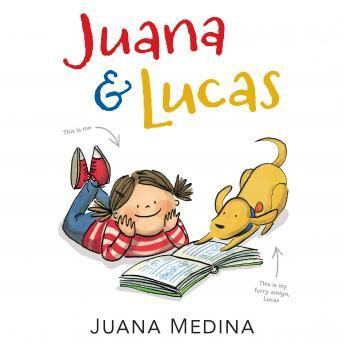 Hilarious, energetic, and utterly relatable, Juana will win over los corazones-the hearts-of readers everywhere in her first adventure, presented by namesake Juana Medina.